Ever had a piece of furniture that you love but it doesn't quite fit with the colour scheme of your room? Well, fear not, there is an easy way to re-style your furniture using Rust-oleum Chalky Finish Furniture Paint. Earlier this month Rust-oleum sent me 2 pots of their chalky paint in Chalk White to try out around the house; I decided to paint some shelves we are going to be putting up in the baby's room. The paints come in a variety of colours and finishes; check out the options here. 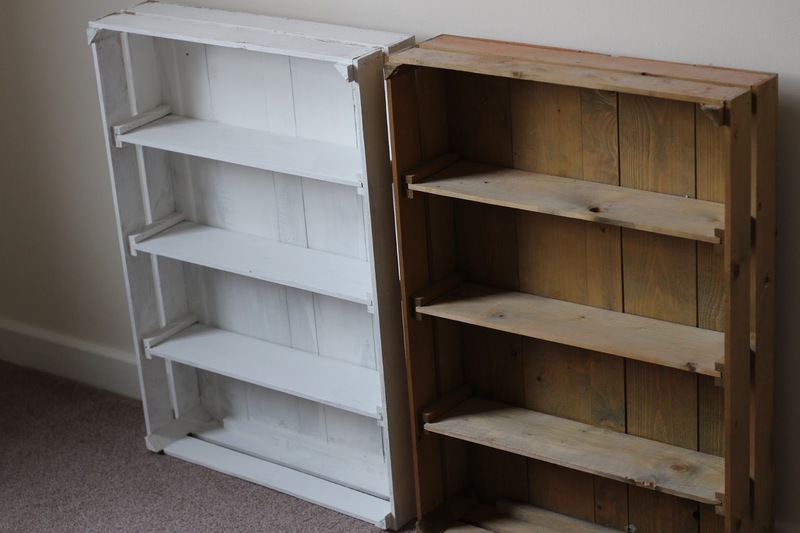 The shelves I painted started out their life as display crates for xmas decorations at a DIY store- as a member of staff my dad managed to get his hands on them just before they were going to be binned and then he sent 2 sets to us. They came in really handy in our last house; just the right size to store loo rolls in! It might be worth heading to your local store and asking about display crates but if not, there are lots of similar crate displays available Ebay. The great thing about chalk paint is that whatever the surface you are painting there is no preparation required; who wants to have to sand furniture down before giving it a new lease of life eh? 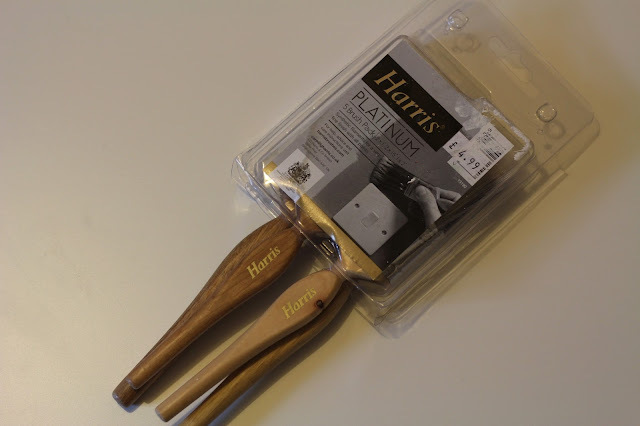 Although you can buy specific paint brushes designed for chalk painting I decided not to and just went for a multipack of brushes (find the ones I used here).With Rust-Oleum chalky paint I found that I only needed to do one coat to get a good coverage but I did go over with a second coat just incase. The beauty of chalk painting is that you don't need any prior painting experience- you just go ahead and slap the paint on and really you don't have to worry about your painting technique; the shabby chic look is just how I like it! 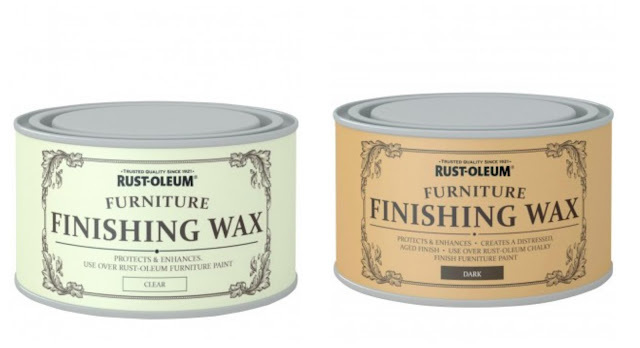 If you are painting a piece of furniture that gets a lot of use it is worth investing in some Rust-oleum Finishing Wax. 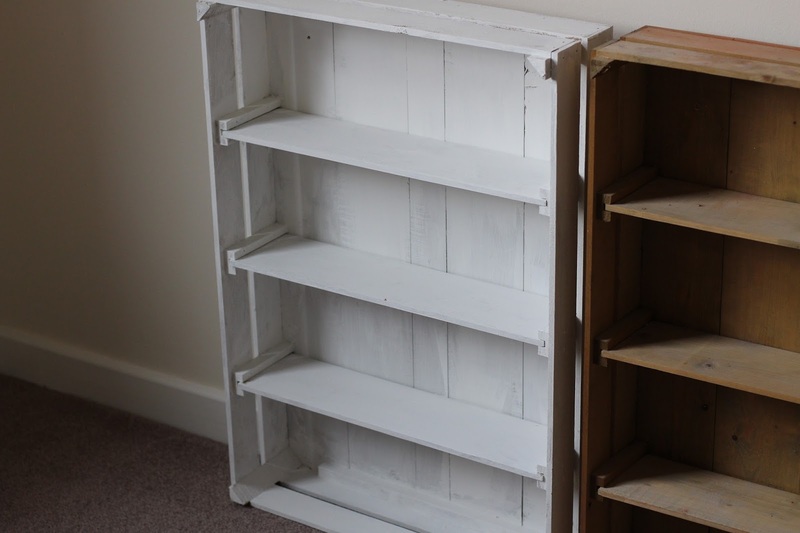 My next project to work on is going to be my chest of draws in our bedroom which I use the top of as a makeup station. I chalk painted it 2 years ago with another brand of paint and although it looked great for a few months it quickly became a bit grubby due to all my makeup residue so it's in desperate need of a refresh. Once I've painted the chest of draws I'm going to purchase some of the Finishing wax. The wax comes in either clear or dark polish that helps to protect your furniture once you've painted it. This type of wax is really easy to apply; all you do is apply it with a brush or rag and it dries leaving a velvety sheen. It helps to ensure the paint finish is water-repellent and seals it against stains and marks- just what I need! I'm so pleased with the results of the paint; I would choose Rust-Oleum paint over other brands of similar paint now that I've tried it out. It costs £12 for 750ml (works out £16 per litre) and can be found purchased online from Homebase and B&Q or find your local stockist here. We've already started working on the nursery for the baby so once the shelves are up on the wall and have some pretty things on them I'll do an update on how they look- of course I cannot wait to do a full nursery tour too! 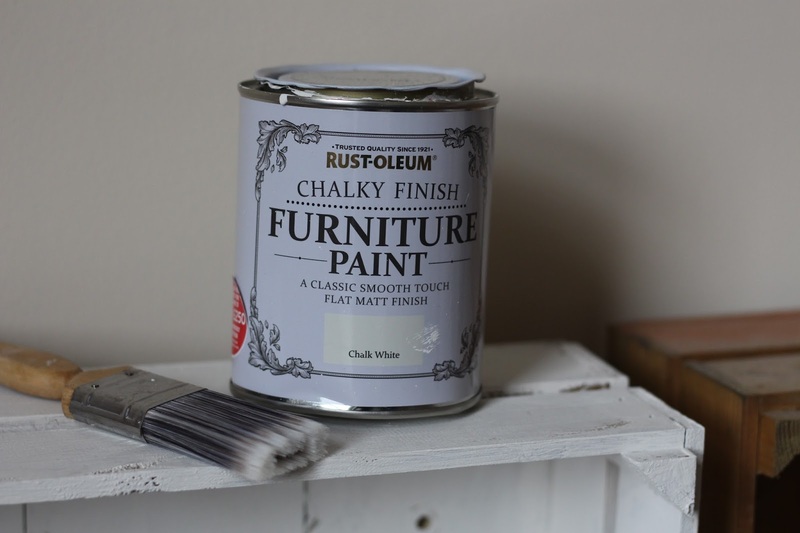 Have you used chalk paint before? Tell me about your next DIY project! Looks good. I have used both Annie Sloan and Autentico but not this one. Glad to hear it is easy to apply and gives good cover. I have also found that any tops that get a lot of use do need extra protection with a wax coating which needs to be reapplied from time to time. Thank you Holly, looking forward to seeing the nursery.